Wondering what to gift someone who lives in a city and also loves the great outdoors? Small closets be darned, we've created a list of gifts that pack small, look good for when you're in the city and withstand the elements when you get outside. 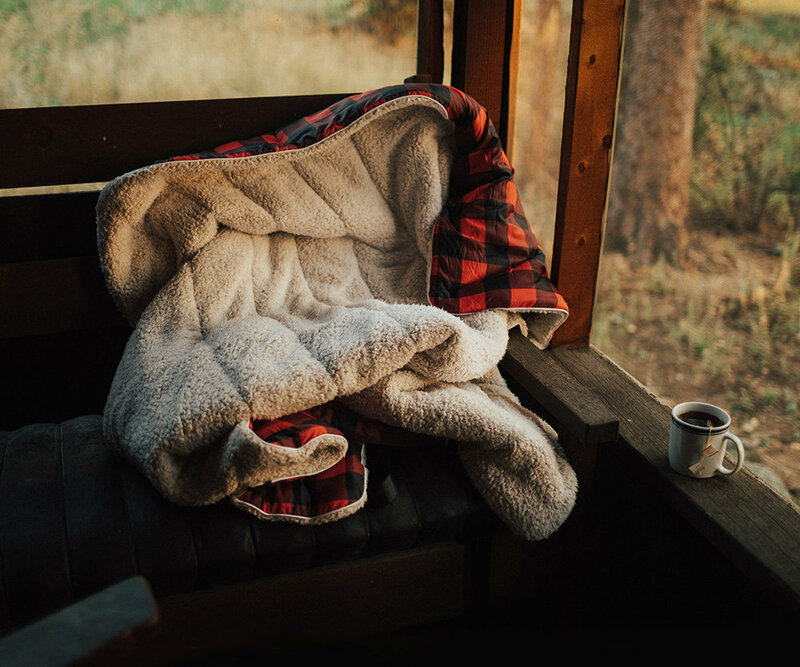 This blanket is the perfect couch or cabin companion: it's cozy to "store" on the living room sofa when not on an adventure and easily rolls up (and has a handle) when you're heading out of town. Known as the blanket that brings coziness anywhere, the new 2017 Rumpl offers impossibly soft sherpa fleece on one side and Nylon Fabric on the other for a gift that anyone with the sense of touch will love. The YOGO Mat is *the gift* for any urban yogi (seriously, look how small it gets!) but especially those who are heading out on a hike, into a park or to the beach to find their zen. The ultra-light mat, offered in charcoal, plum and forest folds up and buckles with integrated straps and a handle so you can stow it in a small bag and literally take yoga anywhere. Bonus: the mat is made with natural tree rubber and YOGO plants one tree per mat. Though we assume every one of you outdoorsy people already has this almost magical quick-drying towel, we're adding this one in here to remind you that one of your friends or family members needs it too. Packable, fast drying, light, soft, odor-controlled, (we could go on), the PackTowl is a travel and camping necessity. Plus, even when you're in the city, it's easy to throw into your gym bag in case you're a member of one of those "budget" gyms that don't provide eucalyptus infused towels on every floor. This set comes with a body and face size towel. Need a gift that combines vintage with views? The new Hydro Flask Wine Bundle offers the perfect combo. Using their famous TempShield™ insulation, they've created a wine bottle that will keep whites perfectly chilled and reds at room temperature as you hike to a peak or paddle down a river. The 25oz Hydro Flask Wine Bottle holds an entire standard 750ml bottle of wine and is made of pro grade stainless steal so you don't have to worry about the bottle influencing the taste. Add in the 10oz wine tumblers and you have the outdoor-wine lovers gift of the year Plus, you can mix and match colors. Ready to take your outdoorsy look to the streets? This oh-so-stylin' Arc'teryx mid-layer hoodie will keep you warm both in the wintery wind tunnel of the concrete jungle and on the slopes of your favorite ski resort. 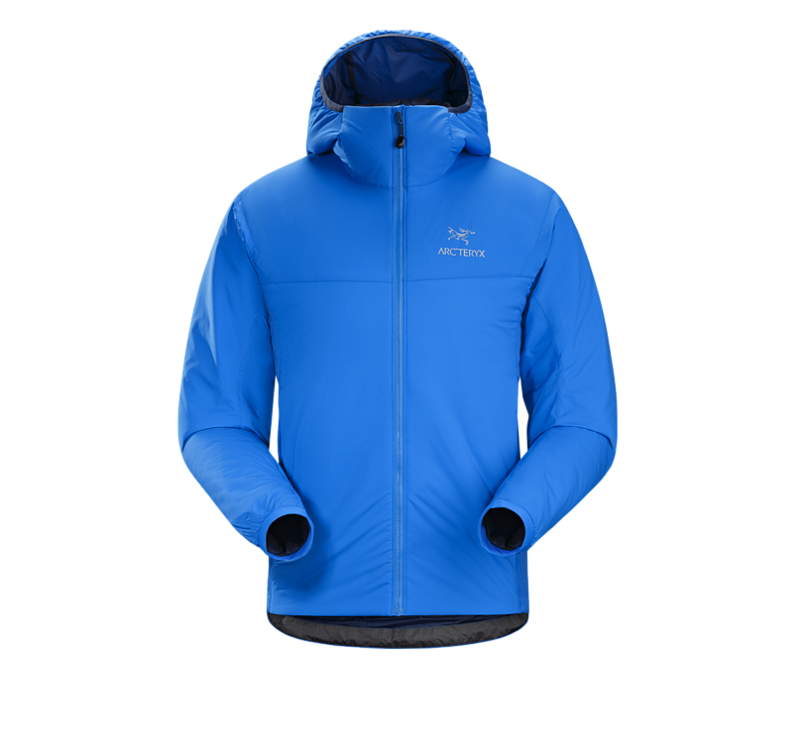 The insulated jacket is both warm and extremely comfortable - almost like a sleeping bag with a hood - and is easy to use as a layer when the conditions call for it. Is this the best stocking stuffer ever? 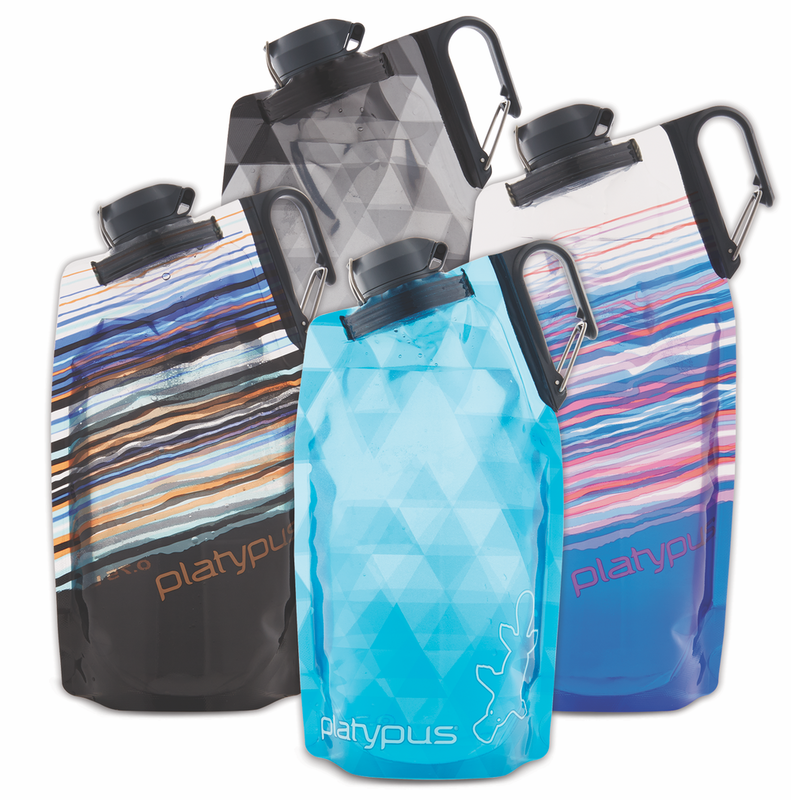 The Platypus DuoLock Softbottle is a flexible water bottle that can easily be stashed in a cupboard, closet, desk, or backpack and then filled and carried for easy use both in the office and on the trail. The best part of these bottles is the DuoLock™, a dual-locking cap for double leak protection so there's no stress about spillage. Plus, the funky patterns makes this sustainably minded gift even more fun to give. BPA-, BPS-, and phthalate-free *and* made in the U.S.A.! Have someone in your life that needs a good looking yet flame resistant watch? The new I.N.O.X Titanium combines style and a beautiful leather strap with the promise of a timepiece rigorously tested to withstand extreme conditions. Choose between a black or olive-green face set inside sandblasted titanium casing. A good partner is hard to find in the city. A good bike bag is even harder, especially one that fits in at the office and performs out on the street. We discovered three alternatives to the more masculine messenger bag look that can carry all the urban cyclist essentials (laptop, extra layers of clothing, water bottle, kindle) without sacrificing comfort and style. Made of sailcloth and boasting reflective strips, removable laptop sleeve, easy access pockets and comfortable seatbelt shoulder straps, SF-based Rickshaw’s Medium Velo Backpack is a great option for two-wheeling about town. For the all-season adventurer, these boots can battle both slush and snow with full waterproof protection. The boot mixes a light supportive midsole with an aggressive outsole for total confidence in less than sunny conditions. Perfect for the city or the trail. Designed by MH community member Adena Lewin and printed on 100% Organic Cotton T’s, the shirts not only look great but are the softest (and potentially most ethically produced) shirt you’ll ever wear. Editorial transparency note: most brands listed here are official partners of OutdoorFest. Products listed here have been selected with the highest levels of quality and functionality in mind.